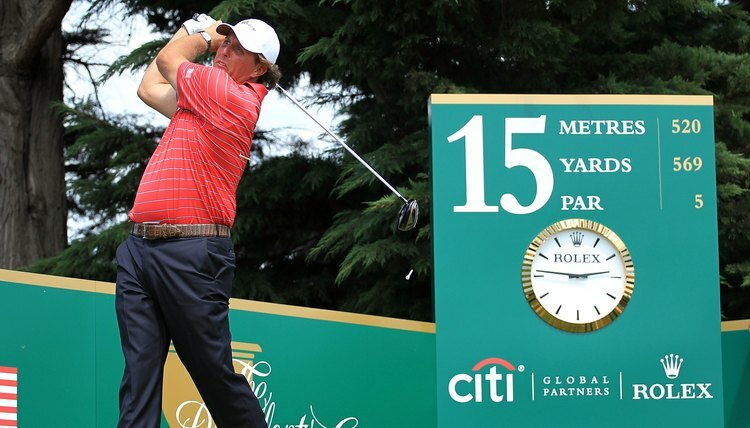 Phil Mickelson, a lefty, is one of the greatest players in the game. There is one unfortunate truth out there for left-handed golfers. They live in a right-handed world. While between 10 and 15 percent of the population is left handed, only a small percentage of those actually play golf. For that reason, and for many years, left handed golf clubs were scarce in shops around the country. In recent years, and for several reasons, however, left handed clubs are more accessible than ever. With that in mind, remember these four thoughts when taking up the game from the "wrong" side of the ball. The left-handed golf swing is a complete mirror image of the right handed swing. So if you are a south paw, remember, even if you are learning from a right handed pro, all you have to do is mirror his or her movements and you are creating the correct golf swing for you. When you are learning how to play golf as a left hander, it is important to book lessons with an instructor who, if not left handed himself, at least understands left handed players and the challenges they face. A right-handed hook goes to the left while a left handed hook goes right. An evil slice for a right handed player ends up in the right woods. A leftie's slice goes into the water on the left. Your pro should understand this naturally. If you are left handed, you should have quality left handed golf clubs. If you are purchasing new equipment, make sure you visit a shop that caters to you, rather than fits you with what they have on hand. Almost all modern club makers manufacture clubs for left handers so don't settle for something that doesn't feel right for you just because they don't have one in the shop. Don't play golf the same way as your right-handed friends. Know that course strategy is different from your side of the ball and you need to approach the game your own way, not simply copy your friends.